An international MGA transitioned its financial closing, MIS reporting, and underwriting support to Xceedance to improve its insurance-related capabilities and to streamline the CFO’s financial accounting and reporting processes. In response, we assembled a team of knowledgeable accountants with international experience in the P&C market. 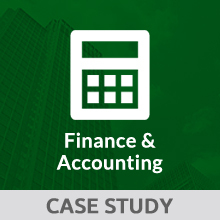 Our team took control of the client’ treasury, cash management, accounting, and expense reporting functions, with a target to eventually oversee all management reporting. The objective included structuring and implementing a smooth transition plan without hampering end-of-quarter statutory reporting. Starting with SunSystems GL for all accounting and reporting requirements, we implemented a phased transition schedule in which we defined activities, deliverables, roles, and responsibilities. Then we developed standard operating procedures for each activity. This project was singular in that we faced competing realities. On one hand, we were able to accelerate the transition process because we understood the client’s business, corporate culture, customer base, transactional lifecycle, and the London market. On the other hand, we lacked existing process documentation, and faced tight timelines and end-user knowledge gaps around the adoption of a new financial operating approach and structure. In Xceedance, we have a partner of the highest order, whose management and capability teams understand how to deliver and how to create a workforce that believes in the vision of client transformation. Above all, this is a partner made up of teams with huge insurance acumen and experience.